In the height of the tipping point week in elections, Sri Lanka Tourism Promotions Bureau welcomed the high level delegation from the Peoples Republic of China, namely the 47 million population Yunnan Province where the key topic of discussion between the Chairman Sri Lanka Tourism Promotions Bureau Dr Rohantha Athukorala and the Secretary General Mr. Che Zhimin was how Sri Lanka can attract the $250 dollar tourist from China. L to R: Randima Udunuwage- Asst Director SLTPB, Dr Rohantha Athukorala- Chairman Sri Lanka Tourism, Che Zhimin Secretary General Yunnan Province, Madubhani Perera- Director Marketing SLTPB, Wang Xiangyun the Dty DG Foreign Office of Yunnan Province, Chinthaka Liyanaarachchi- Market Head China for SLTPB. In the backdrop of China topping the visitor arrivals in the month of July with a performance 25,120 arrivals with a growth of 65.5% over last year and commutatively touching 119,000 on the detail talks hinged on how long term financial sustainability of Sri Lanka's tourism industry can be achieved by tapping into the top end of the 2 million Yunnan Province out traveller whilst from the China perspective a typical Destination Marketing Companies( DMC's) can enjoy stronger ROI said Dr Athukorala. As per the Wang Xiangyun the Deputy General of Foreign Affairs of the Yunanan Province there are apparently 2 million outbound market currently selecting a destination mainly in the South East region such as Malaysia, Thailand, Singapore, Indonesia and in the recent past Mayanmar and Maldives whilst the traveller profile are people working in Mining, Biological research, Tourism, Energy and tobacco industries which are all top dollar employment driven business which makes the task of attracting a $250 tourist is possible she said. 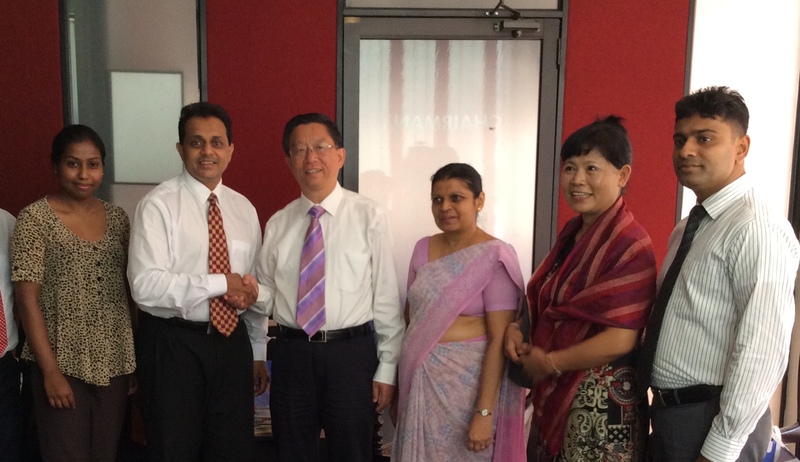 The Sri Lankan team agreed on the strategy which included a focus evening meeting with the five hundred travel agencies of the Yunanan province, the launch of WECHAT and an equity building marketing communication campaign on Yunanan Television apart from the partnership promotion with Sri Lankan Airlines and Air China said Chairman Athukorala. Sri Lanka is targeting 225,000 visitors from Chinese source market for 2015.